As the MDC-Alliance Congress gathers momentum, there are conspiracy theories and smear campaigning going around in the social media where people are discussing about the preferred candidate to lead this most powerful opposition political party in Zimbabwe. It's all canvassing for support as leaders jostle and position themselves to wrestle power to lead the main strongest opposition party. 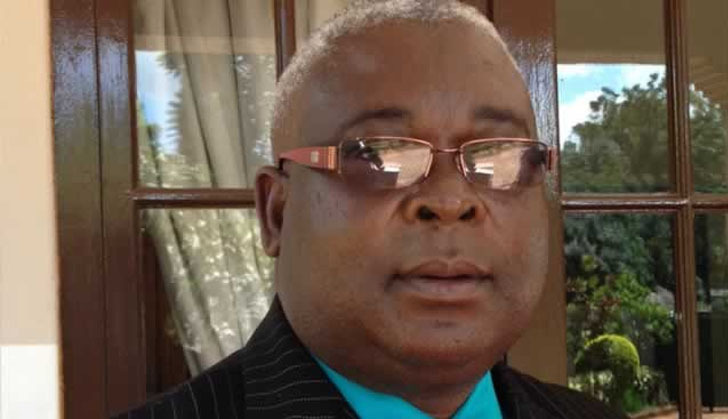 However rumour circulating has it that Elias Mudzuri want to challenge Nelson Chamisa and is likely to face an acid test as he comes face to face with Nelson Chamisa who has been a darling of supporters since he took over from the late Dr Morgan Tsvangirayi. It is right in the records books of MDC- Alliance that Engineer Elias Mudzuri once visited the Statehouse for a meeting with President Emmerson Mnangagwa which was not sanctioned by the party. This alone riled members of the party and see Mudzuri as a weak leader who can be manipulated for a few pieces of silver. Politically Engineer Mudzuri committed political suicide by throwing himself in the mud of Zanu PF. He came out of that meeting soiled and that will remain in many strong and staunch followers of MDC -Alliance. In Zimbabwe's politics dining with a member of the opposition is a ticket to political oblivion. This also happened when Simba Makoni the leader of Mavambo /Kusile party was accused of having meetings with the late Morgan Tsvangirayi during the time Zanu PF was involved in leadership wrangle. Joyce Runaida Mujuru was also not spared. The truth is Engineer Elias Mudzuri commands a very few supporters and will struggle to win against Nelson Chamisa Its obvious, the fact that he is not popular within the lower rungs makes him difficult to sell his brand to the electorate. He is not popular. Politics is about commanding a huge number of followers and being popular. He is likely to get floored hands down. It looks like he has more fans and sympathisers from Zanu Pf than MDC -Alliace who will not be eligible to cast their vote in MDC-Alliance Congress. Engineer Elias Mudzuri seems to be a divisive figure who is failing to carry the vision of the party ahead. He is neither consisistency in his service in the opposition. Elias Mudzuri is so unpredictable and cannot be trusted in leading this party. Nelson Chamisa commands a sizeable following and has attracted a lot of supporters than Engineer Elias Mudzuri. It has become a norm in MDC-Alliance that whenever they are coming from an election, there are always calls for renewal of leadership within the party. The party must restrategise and find ways of winning an election. Democracy is health and a panacea to sound flow of ideas and thoughts but that should not disturb the winning team. So far MDC-Alliance has done much pretty well in challenging the ruling party and changing the leadership at this moment will derail all the efforts made by the party. The power struggle at the moment will tear the party apart and will result in splitting like what happened to Welshman Ncube, Arthur Mutambara, Tendai Biti, Job Sikhala, Elton Mangoma and Thokozani Khupe. The centre is not holding. Challenges are very common in every organisation and people must learn to talk about issues affecting them and map a way forward. MDC-Alliance is a very big brand which is now more appealing to the virgin votes and the young people. This is not the right time to make some cracks in the party as Zanu PF is waiting like a vulture to prey on its kill. Let all the top leadership feel energized to fight for true democracy and liberate the sons and daughters of Zimbabwe from the jaws of the ruling party which has dismally failed to govern the country. MDC-Alliance has supporters and people support the party. It has supporters from citizens, students, youths , labour and they are all enjoying the status quo. Time for leadership change yes will come but the timing must be put into consideration. MDC -Alliance must keep pressure on the ruling party not as a divided political outfit but as a united front. The country cannot afford to have a President who travels by a chartered plane then back into the country within fifteen hours. Why could not just make a phone call or send message through Embassy given the situation of the country?